Are leaders born or made? That debate will never be resolved. But one thing is certain: many of the skills that make up good leadership have to be learned along the way. Leaders are human, and here’s the surprising truth: sometimes they simply get it wrong. And when that happens, it’s our obligation to help and guide them, whether they’re a peer or someone in leadership above us. Because, after all, leadership is a two-way street. When your leader exudes negativity, set the example by leading with positivity. Be the example the leader needs to see. Negativity limits any leader’s effectiveness. A huge part of your leadership is the energy you exude—it affects your team and your entire organization. It may be hard when you’re bombarded with negativity from your leader, but keeping your own attitude positive will help show them—and your co-workers—the way. When your leader becomes fatalistic, remind them that a mistake isn’t the final word. When times get tough, remind your leader of Winston Churchill’s words, “Success is not final, failure is not fatal: it is the courage to continue that counts.” Even our leaders need our encouragement from time to time. The right message at the right moment may be the thing to jolt your leader back into the mindset they need to have. When your leader exhibits disrespect, show them what respect looks like. Disrespect should never be tolerated. But it finds a way to creep in, even in the best organization. When that happens, it’s important to do everything you can to stop it in its tracks. Whatever is accepted today—especially in someone in leadership—becomes the norm tomorrow. When a leader exhibits disrespect, give feedback on the consequences—in a respectful way. Ultimately you can’t force a leader to respect you, but you can refuse to tolerate their disrespect, and you can make sure your own behavior is impeccable. When your leader doesn’t take responsibility, remind them that they’re accountable. When an overburdened leader shrugs off responsibility, it often results in a ripple effect throughout the company. Support your leader in the understanding that power carries responsibility not only for what we do but also for what we don’t do. You may be thinking, I can’t say any of these things to my leader. It’s a task that calls for a degree of courage and tact. But unless your leader is genuinely awful—and that’s rare—they’re human, just like you. And just like you they sometimes need reminders and encouragement. Those who recognize this fact and show the leadership to act on it invariably stand out from the crowd. Lead from within: It may be surprising to see your leader stumble, but the biggest surprise will come when you take ownership of your own leadership. 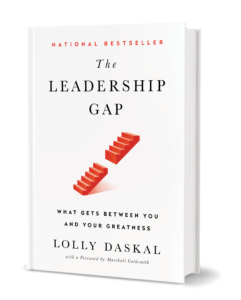 The post The Shocking Truth About Your Leader You Need to Know appeared first on Lolly Daskal. You invest a lot of your time and energy into your work, and part of the return on that investment is the benefit of being led by someone you respect and admire—someone you can emulate. But of course, it doesn’t always work that way. Far too many people end up working for toxic leaders. As a leadership coach, I’ve seen the kind of damage toxic leaders can do. Left alone, a single toxic individual can undermine relationships, wreck teams, and destroy the fabric of an entire organization. Toxic leaders speak but never listen. A leader who does all the talking is trying to cover up for the things they don’t know. Those who are secure in their leadership tend to listen more than they speak, because they know they can learn something new from everyone they listen to. Toxic leaders dismiss other people’s ideas. It’s a terrible feeling when you share an idea or direction you’re passionate about only to have it ignored or even mocked. “My way or the highway” is the motto of toxic leadership. Toxic leaders belittle and ridicule others. If you sit in a meeting and can hardly believe you’re hearing someone in leadership speak with such contempt to a member of their team—if you’re reminding yourself to stay silent so you don’t put yourself in the line of fire, you’re dealing with a toxic leader. Toxic leaders are easily frustrated by teaching, mentoring and coaching. Patience is one of the hallmarks of effective leadership. And while some are better at it than others, most great leaders love helping their team members develop and grow. Toxic leaders, on the other hand, are unable to meet people where they are without quickly becoming frustrated. Toxic leaders constantly micromanage. When a leader believes in their deepest core that their way is the only good option and no one else can do anything nearly as well as they can do it themselves, they micromanage. The result is that it’s difficult for others to bring forth their talent, state their ideas or even do their job. Toxic leaders lack social skills and emotional intelligence. Knowing how to manage their own emotions and being aware of the emotions of others are among a great leader’s biggest strengths. But toxic leaders are unaware—of self and of others—a trait that seriously disables their leadership. Toxic leaders take credit for other people’s work. There’s nothing more infuriating than someone taking credit for your work—especially when it’s being done by a so-called leader. The likely cause is that they don’t feel secure enough to give credit to others; if they don’t have the light always shining on them, they may feel they’re no longer in control. Toxic leaders blame others for their own mistakes. 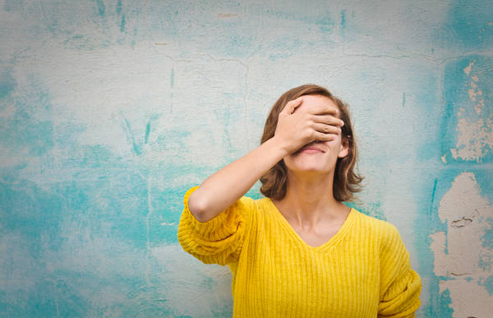 When a leader points fingers for their own errors, their lack of responsibility and accountability is toxic—and it often causes others to feel they are at fault. Great leaders take the blame and are accountable; they find a lesson where others see only a problem. Toxic leaders never admit to being wrong. How many times have you seen a leader pretend to ask for opinions when they’re really ask for validation of their own ideas? When push comes to shove their way is the only acceptable answer. It’s an attitude that breeds toxicity and demoralizes everyone, especially the smartest people on the team. Unfortunately, recognizing toxic leaders is easier than dealing with them. One frequently successful approach to weeding them out involves talking to them and letting them know the effects of their behavior—respectfully, so you don’t become part of the problem. The longer their behavior continues the more acceptable it becomes, and ultimately the only way out may be to find a better environment. Lead from within: Understanding your leaders, cultivating deep relationships with them, and supporting them can create a positive culture that will keep you and your organization on the road to success. The post How to Recognize And Weed Out Toxic Leaders appeared first on Lolly Daskal.